In March, the city’s Department of Buildings approved demolition plans for the Brooklyn Heights branch of the Brooklyn Public Library. Work is now well underway at the site, and is scheduled to wrap up in the next 50 days. 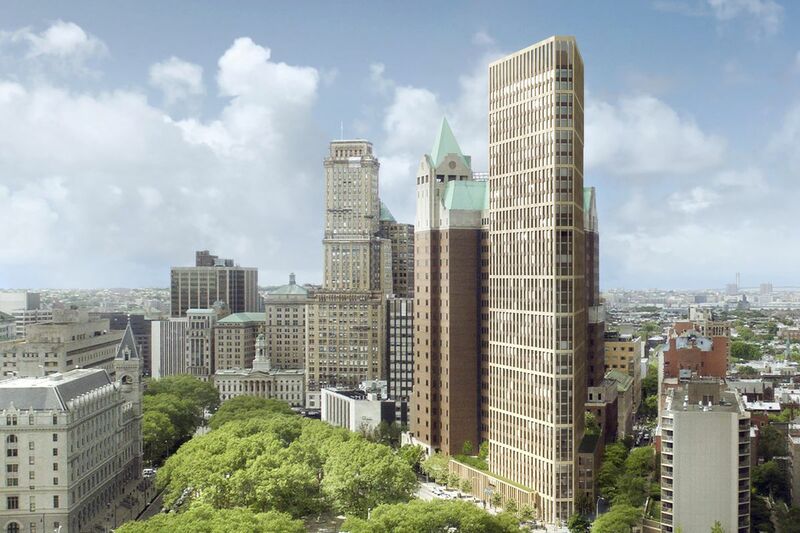 The developer recently closed on the $52 million purchase of the site from the Brooklyn Public Library and has also managed to secure a $280 million loan that will go towards construction on the project. The condo building will feature 134 apartments. The first three floors will be occupied by this new library that will span 26,620 square feet. The library will come with a double height area on the ground floor, a mezzanine level, and a space below ground for public events. There are other components to this project as well: a 9,000-square-foot STEM lab that will be operated by the city’s Department of Education and be open to students in School District 13. Two retail spaces will front on Clinton Street. One of them will be leased by the Brooklyn Roasting Company and the other will be a pop-up food space for a variety of vendors curated by Smorgasburg. Finally, the overall project also includes a commitment towards a 114-unit affordable housing project at Fulton Street and Atlantic Avenue. Like the library condo, this too will be designed by Marvel Architects, and will have 50 percent of the apartments set aside for eligible residents from Brooklyn Community Board 2. The apartments will be open to those making between 60 percent to 125 percent of the area median income. The project has been divisive from the start with some local residents opposed to it. The overall project was allegedly under a federal probe, according to one New York Post story, though Hudson Companies says it never received a subpoena. A community activist group brought a lawsuit against the project, but that was ultimately dismissed by a judge (an appeal is still pending). Regardless, funds from the sale to Hudson Companies will go towards creating the new Brooklyn Heights branch of the library as well as to other capital needs of the Brooklyn Public Library. Since this branch was shutdown last summer, it has been operating out of the Our Lady of Lebanon Church on Remsen Street. 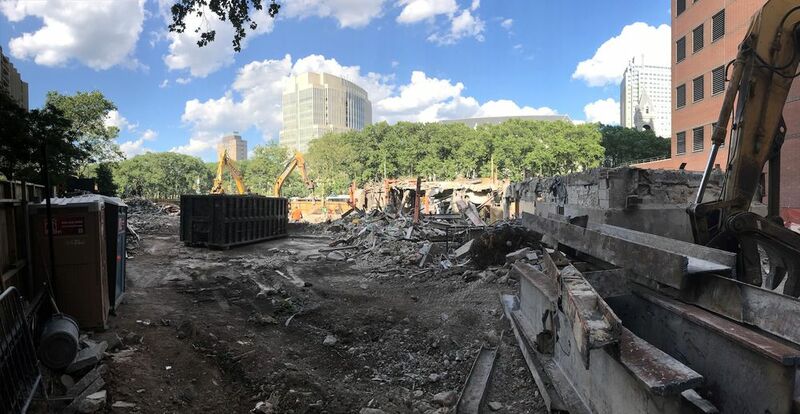 The project at 280 Cadman Plaza West is expected to break ground sometime this summer, and construction is scheduled to wrap in 2020.